PMRA – Re-evaluation of agricultural chemicals | Chatham-Kent Agriculture Development | We Grow For the World! The PMRA (Pest Management Regulatory Agency) is regulated under Health Canada and is responsible for pesticide regulation in Canada. Created in 1995, this branch of Health Canada consolidates the resource and responsibilities for pest management regulation. 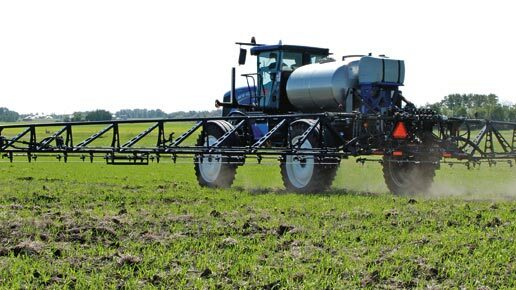 The PMRA is proposing/pending usage restrictions and registration cancellations of various agricultural chemical control products that are presently used by many of our growers. These products include: Linuron, Mancozeb, Metiram, Carbaryl, Ferbam, Ziram, Thiram, Chlorothalonil, Ipodione, Captan and Imidacloprid. If you, your company, or organization wish to submit a letter in regards to this re-evaluation of chemicals, here are some names and e-mails of those individuals you can contact. If you are planning on contacting them, you are encouraged to do so right away. As well, I have attached two letters that have been sent out in regards to this matter. I have permission to share them with you if you want to use these as templates or to use some of the wording in these letters. You will see these attached letters are from the OPVG and the OFVPA associations.